Find them for a 1$ and stash them for the 1st appearance. Most of these are modern specs. Some may be way before their time, but I feel that a lot of these books can be had for 1$ or less and even if they don’t pan out, at least they contain a 1st appearance. This article will focus on some of the underrated X books, with many of these characters even having the potential to be in the upcoming X-Men: Apocalypse movie . . .
Uncanny X-Men #169 features the 1st Appearance of Callisto and the Morlocks. I’m glad this book has started to heat up as I had it picked out for this article a couple weeks ago. To me, this should be a mini-key. Callisto has already appeared in a movie (X-Men: Last Stand), and along with the Morlocks, has played a key role in many popular X-Men stories; including Mutant Massacre, The Fall of the Mutants, and Age of Apocalypse. Not to mention, Callisto was exposed to the Terrigen Mists at one point to regain her powers; so you could add her to the small list of mutants/inhumans. Leech makes his 1st Appearance in Uncanny X-Men #179. Originally a Morlock, Leech is a very interesting character and is also deeply intertwined in X-Men lore. 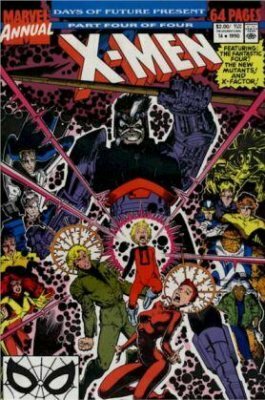 Staying on the nines, Uncanny X-Men #199 is the 1st Appearance of Freedom Force, who had a key role in the trial of Magneto. 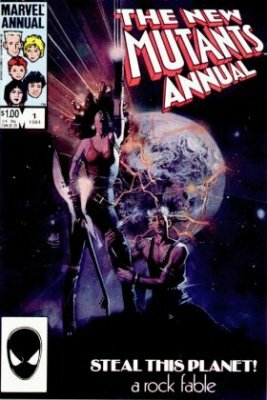 More importantly, this is also the 1st Appearance of the 2nd Phoenix (Rachel Summers/Grey) and also a beautiful John Romita Jr cover. The Crimson Commando, Super Sabre, and Stonewall make their 1st Appearance in Uncanny X-Men #215. They are all minor villains, but with three 1st Appearances, you can’t go wrong. 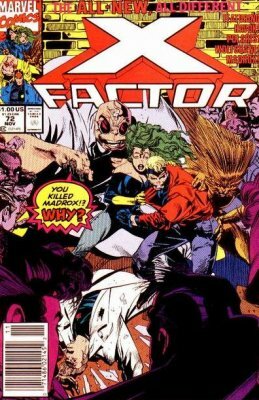 Moving along to X-Factor #17, we have the 1st Appearance of Rictor, who tries to kill Gambit and the X-Ternals in the Age of Apocalypse storyline. Rictor was also an early member of X-Force and this is also a great Walt Simonson cover. 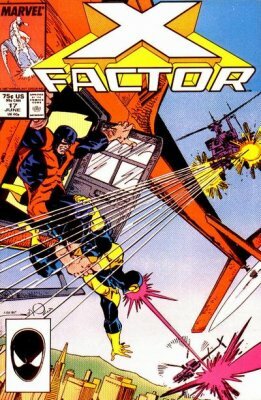 X-Factor #72 features the 1st Appearance of Guido as Strong Guy. With the success of the Hulk, Marvel now has a blue print for giant superheroes. A lot of X-Factor #71s have been disappearing, so pick up #72 as well. 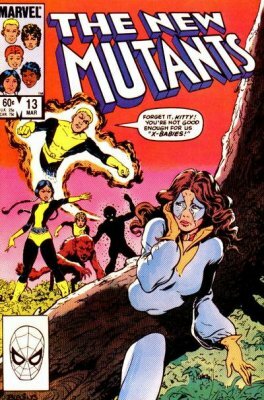 New Mutants #13 contains the 1st Appearance of Doug Ramsey (who later becomes Cypher). I read a spec on Cypher recently, and I agree that he will most likely show up on screen, although I’m thinking the small screen whenever a New Mutants TV show comes out. 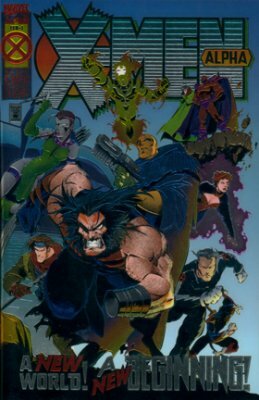 Cypher also plays a role in the Age of Apocalypse storyline. Finally, we have the 1st appearance of Guido, who later becomes Strong Guy (see above), in New Mutants #29. 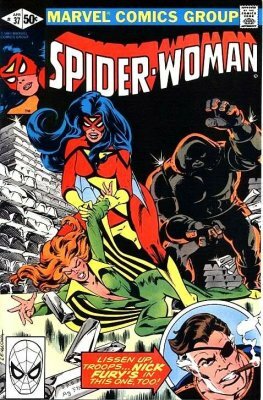 Spider-Woman #37 contains the 1st Appearance of Siryn, daughter of Banshee. I’m very surprised this book hasn’t taken off with the female character boom as she has been a member of the X-Men, X-Force, and X-Factor. 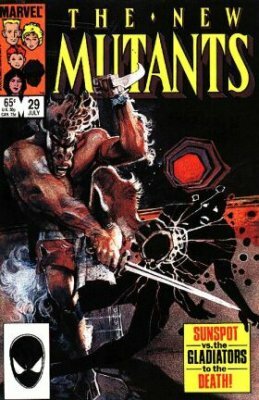 I’ve seen New Mutants Annual #1 talked about before, and it does feature a beautiful Bill Sienkiewicz cover. 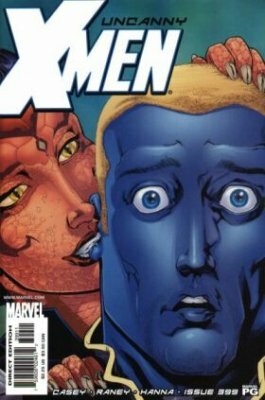 This book also contains the 1st Appearance of Lila Cheney, who is romantically involved with Gambit in the Age of Apocalypse storyline and also the 1st Appearance of Doug Ramsey as Cypher. New X-men #118 contains two 1st Appearances. We have the 1st Appearance of Angel Salvadore, who we have already seen in X-Men First Class (played by Zoe Kravitz) and the 1st Appearance of the Stepford Cuckoos! The Stepford Cuckoos were claimed to be in a background scene in X-Men: Last Stand, but not verified. I think they show up again in the future. Stacy X (Miranda Leevald) makes her 1st Appearance in Uncanny X-Men #399. It was rumored that Stacy X was going to appear in X-Men: Last Stand, but she did not. I believe she still ends up on a screen at some point. The One-Shot X-Men Alpha is one of my favorite 1990s books. This book contains four 1st Appearances in X-Man, Blink, Dark Beast, and Holocaust (key player in Age of Apocalypse). The Gold edition is the one to grab. 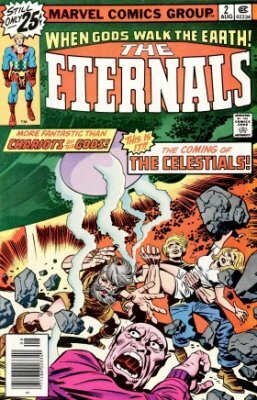 The Eternals #2 features the 1st Appearance of The Celestials, who are very important to the marvel cosmic universe, have been involved in many marvel story lines, and would look great on the big screen. 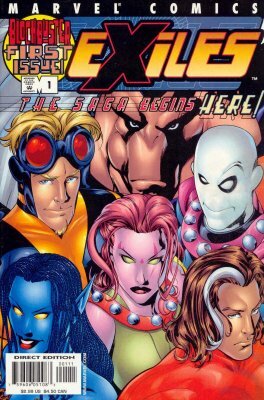 The 1st Appearance of Marvel’s Exiles team is in Exiles Vol 1 #1. This is also the 1st appearance of Magnus Lehnsherr, the son of Magneto and Rogue. 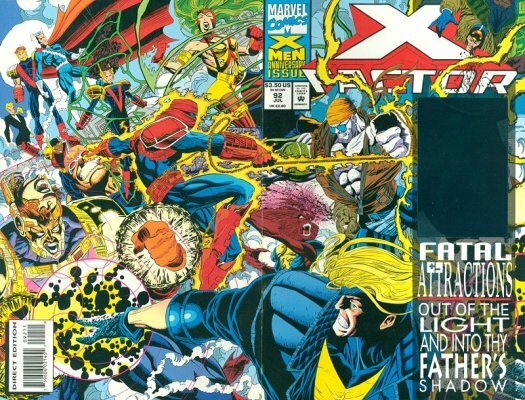 And lastly for the dollar specs, we have X-Factor #92, the 1st Appearance of Exodus, another key player in Age of Apocalypse and one bad villain. Finally, we have three controversial books. 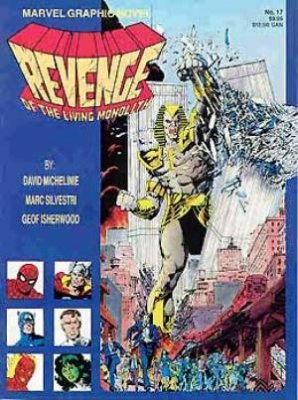 Marvel Graphic Novel #17: Revenge of the Living Monolith contains the supposed 1st Appearance of Apocalypse as En Sabah Nur. 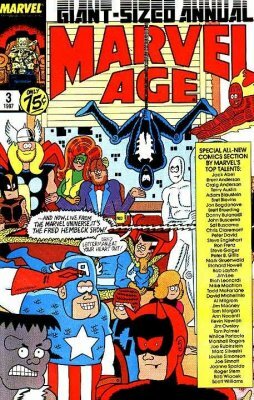 I can verify that Marvel Age Annual #3 contains the 1st Appearance of the Horsemen of Apocalypse. Uncanny X-Men Annual #14 is the disputed 1st Appearance of Gambit. Nice, man! It’s always a hassle for me to keep track of the smaller, non-DC books. This will help a lot! Thanks! I’m pretty sure Plague’s 1st was as a Morlock in Uncanny 169, not X Factor 15. Morgan you are correct in that Plague’s 1st appearance was in UXM169, but she was not transformed into Pestilence until X-Factor 15. Pestilence is one of Apocalypse’s Four Horsemen, along with War, Famine, and Death. Thank you for refreshing my want list. Awesome choices! This is extremely helpful. It’s nice to have some direction when I’m digging around in those dollar bins. Thanks! Also X-Factor 19 is a solid $10- $15 book. wow, lots of books in there to look out for! Solid! Thanks for this write-up! Nicc . 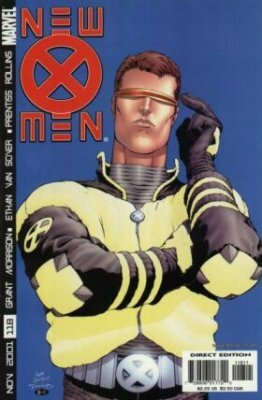 . . the easiest way to distinguish the difference between silver and gold is the X-Men on the front cover. Silver has a silver X-Men and Gold has a gold X-Men. May need to shine in the light to get a better glance. Wow, I consider myself pretty conversant on X-titles, but this list surprised me more than once. It was very well written, had nice pics and sweet spec. Thank you! I think Chris mentioned it X-factor #19. It’s not the first appearance of the four horsemen, but it is a sweet looking cover.